The use of bottled cylinders containing compressed gas is prevalent in various industrial sectors, including science and research, laboratory, pharmaceutical, food and beverage, healthcare, and medical. As there are FDA, CGA, DOT, and OSHA regulations to follow, there is a requirement of enabling pre-evacuation to insure proper removal of residual gases and potential contaminants before refilling. 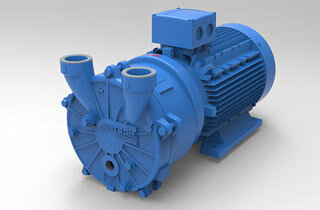 At Airtech Vacuum Incorporated, we provide industry-leading vacuum pump solutions for evacuation applications. The evacuation of containers, such as the extraction of gas or air from closed containers, is one application of vacuum technology that is considered widespread. As a result, these applications are highly diverse. The term evacuation is typically understood as the process of emptying a physical space of gases, especially in industrial applications that feature the presence of ambient air. Next, the evacuation chambers used to conduct testing or manufacturing processes would then be impeded by the presence of oxygen or ambient air. 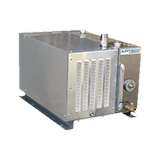 It is important to note that the level of vacuum required often varies between applications. One may require high levels of vacuum for silicon wafer coatings that are used in semiconductor production procedures, and low levels of vacuum for clean rooms or central vacuum cleaning. With that, you may be pleased to know that some of the powerful benefits our vacuum systems provide include oil-free operation, minimal maintenance, exceptional operational reliability, and explosive and corrosion resistance. Why Choose Airtech Vacuum Incorporated For Evacuation? Airtech Vacuum Incorporated understands that there is a need for a diverse range of vacuum pumps for the many applications involved the evacuation of gases and air in containers. Whether you are looking to purchase rotary vane vacuum pumps, claw vacuum pumps, screw vacuum pumps or other pump combinations, we’ve got your back. Our company was founded in 1982 and has been a leading choice for pump systems for evacuation applications since our inception. When you work with us for your chamber or container evacuation needs, you can have peace of mind knowing that we are ISO9001-2008, UL-, CE-, RoHS-, and CSA-certified. We understand that every client’s needs are different and that’s why we also provide top-notch custom design and engineering solutions pertaining to vacuum technologies. Our dedicated engineering staff is able to analyze your application and provide the most ideal and cost-efficient solutions. You can rest assured that all our products are manufactured with high quality materials and will last for years to come. They are extremely easy to install and use from the get-go. Start finding the perfect vacuum pump for your evacuation application by browsing through our inventory today!